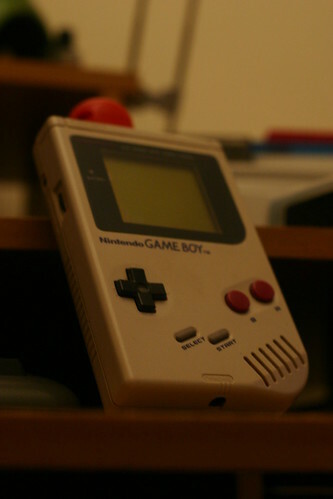 Gameboy, originally uploaded by hellocatfood. It’s surprising how hard it is to win a Gameboy from ebay. Nearly everyone wants one and because they’re usually sold in a bundle with other games and accessories it usually goes for about £30. Luckily I managed to get one from the Indoor Market for £5 and the Gameboy Camera for another £5. Schweet! Like everyone else and their mother I’m hoping to get my groove on and make some music using programs such as LSDJ. I’m gonna get a Gameboy Pocket to make the actual music on, due to it’s bigger screen and better display, but according to some surveys the DMG has the best sound. So I’ll export it all using this one.